Classroom Instruction – Dan/John – Target World Inc. This Class is designed for the person that is new to handguns. The first half of the class will be upstairs in the classroom going over the Safety Principles and the Fundamentals using training guns. The second half of the class is going to be on the range shooting 100 rounds putting into practice what we learned in the classroom. Our goal is to create a positive learning environment while building a strong foundation in safety and accuracy. 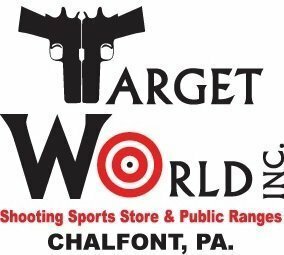 Range time, Eye and Ear Protection, Targets, Rental Guns and Ammo is included in the class fee. The content of the class will be taught within the context of Personal Protection. Students will fire a .22lr caliber handgun. Gun rental, Eye protection, ear protection, ammo, and targets will be provided. – or click here for more information.